On Wednesday, July 28 the Bates Dance Festival presented Moving in the Moment, the annual improvisatory performance by the Festival’s faculty and musicians. The show is an iconic part of the BDF experience and speaks wholly to the emphasis on collaboration and improvisation that the Festival teaches. Movement in the Moment came into being in the early years of the Bates Dance Festiva (now in its 34th season.) 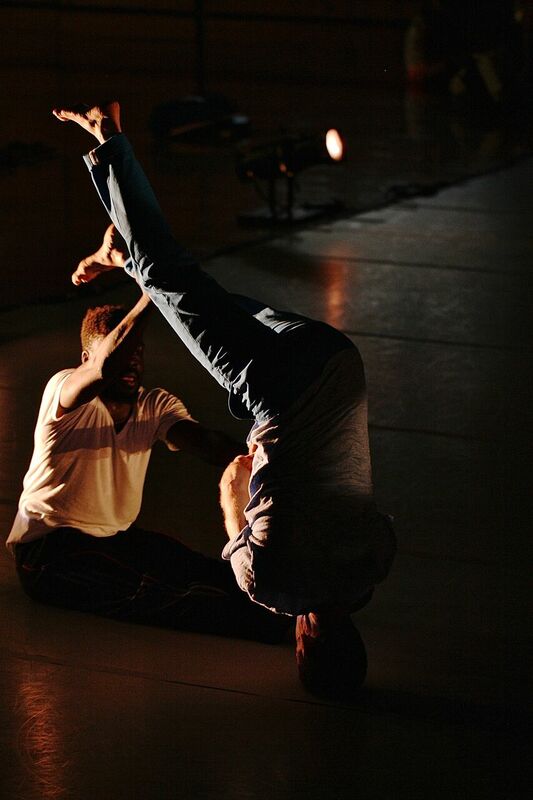 Since it’s founding, contact improvisation has been an integral part of the Festival. BDF Director Laura Faure remembers the showing gradually developing from humble beginnings as an in-house jam into the public event that it is today. Yet despite a larger audience, the event remains highly informal and free to the public, encouraging members of the local Maine community to attend. 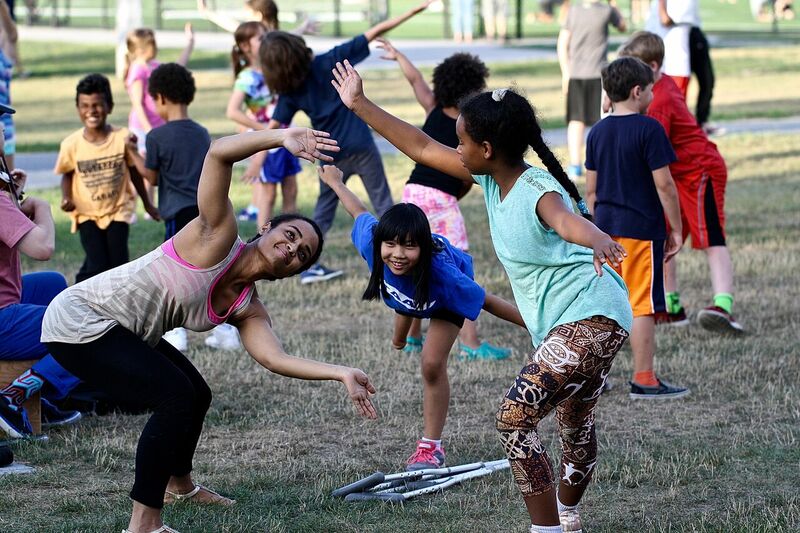 For the past number of years the evening has included a pre-show performance by campers in the Youth Arts Program, Bates Dance Festival’s community outreach program that brings local campers aged 6-17 together to explore art of all kind. On Wednesday, half an hour before the show began, Youth Arts Program families, BDF students, and general audience members gathered outside on Bates College’s idyllic campus. The roughly fifty campers stood in a clump on the end of a stone path cutting through a grassy field across from Youth Arts Program musicians Terrence Karn and Rob Flax, their instruments in hand. Guided by their counselors and staff the young students began their improvisational score. Every time a certain whistle was sounded, they all froze. The score focused on mimicry, including a mirroring activity done in pairs, and a walking game where the campers exaggerated the movements of one student. The campers concentrated fiercely on the tasks at hand, foreshadowing the show to come. As they entered the Bates College Alumni Gymnasium audience members were approached by the dancers and asked to leave their shoes in a taped out region of the floor adjacent to the marley, and take a seat in the bleachers on either side of the dance floor. The fifteen dancers included many members of the Festival’s faculty along with select staff and community members. Festival lighting designer Greg Catellier sat ready at his board next to the eight world-class festival musicians, poised in a sea of instruments. Lighting and music allowed the evening to function as a fully improvised show as opposed to a jam – all of the converging aspects of theatricality executed simultaneously by practitioners at the very top of their game. Faculty members and practiced improvisers Angie Hauser and Chris Aiken introduced the evening. “The movement you’re about to see doesn’t exist,” said Aiken, and the show began. A complex four page long score was posted around the room for the dancers and musicians to reference, encouraging contrast in both movement and music. Taking note from the Youth Arts Program dancers, mimicry played an interesting role throughout the evening. A particularly poignant recurring moment came when one dancer would raise their arm and others would slowly follow either in a clump around the leader or scattered around the stage. This simple gesture felt powerful both in juxtaposition to the otherwise near constant individual movement and in the coming together of the dancers almost in protest or solidarity, particularly moving in light of the country’s polarizing climate this summer. At one point BDF faculty member and former Bill T. Jones dancer Paul Matteson left the floor and walked over to an usher leaning against the doorframe on the far edge, arms crossed. Matteson stood closely next to him and took on his stance, provoking laughter from the audience members who’d watched him walk away. Moments like this pushed against the boundaries of the metaphorical fourth wall erected even in such an informal setting. 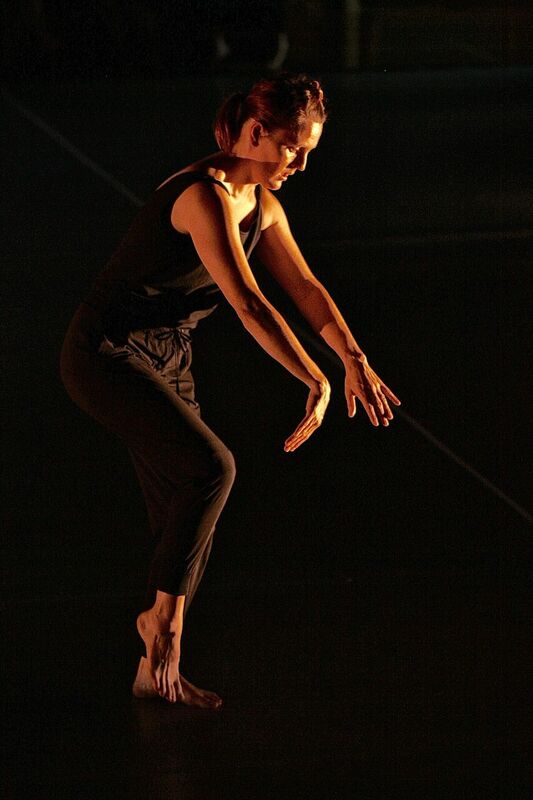 As a group ran past BDF jazz teacher Autumn Eckman’s head was lightly knocked by another dancer; instead of reacting against the interruption she let it lead her into new movement. This shows the necessity of improvisational skills for all dancers – anything can happen in performance, and the ability to think on your feet and take cues from others is crucial. This show provided an important opportunity for dancers of all generations in the audience to be reminded of this aspect of their training. Midway into the show the dancers unrolled tech tape on the floor, creating a smaller square and pulled rows of audience members onto each of the four sides to create a more intimate boundary line. The dancers casually inserted themselves into the audience, reentering the performance one at a time. The first out was veteran faculty member Andrea Olsen. Olsen performed a largely gestural solo, finding stillness in balance and falling gently off of it to lyrical piano music. 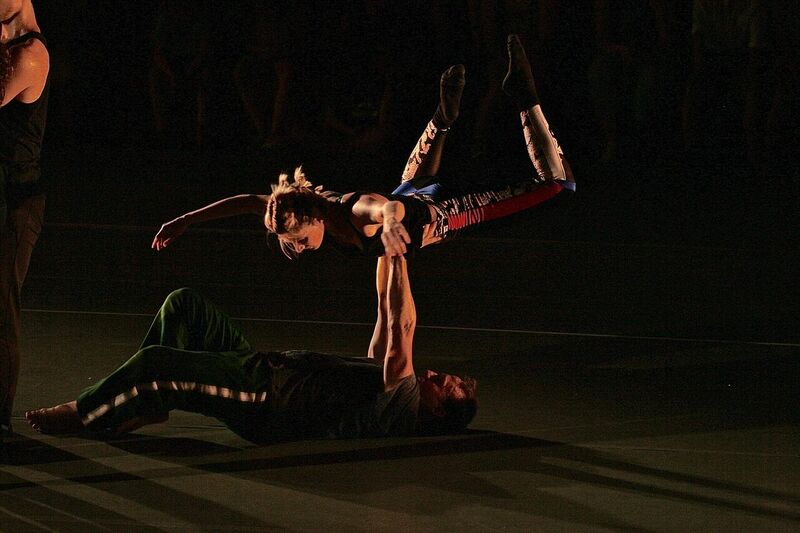 She was joined in sequence by Angie Hauser and Doug Varone dancer Xan Burley. These three unique dancers spanning multiple generations moved individually but in reference to each other, their personal styles speaking clearly in complement to one another. Moving in the Moment ended with the dancers moving one at a time into the neighboring collection of shoes. They found their way to standing and helped each new arrival into the fray. Once the last dancer arrived, they all stood still, staring ahead for a number of seconds before the lights went dark. The show was a reminder of the importance of creativity, concentration, collaboration, and also of finding playfulness and joy in dance. These are key tenets of the Bates Dance Festival, and the evening as a whole spoke to the uniqueness of this historic summer community. 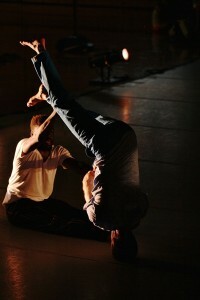 Photography by BDF Intern Blake Capel.